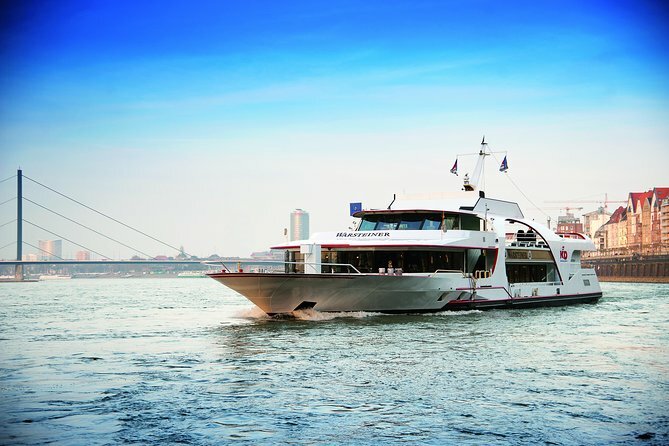 Board your comfortable vessel, the MS Warsteiner, to begin your scenic and educational Rhine River cruise from Düsseldorf's Old Town. Protect yourself from the elements by sitting inside or enjoy unobstructed views from the sun deck. Listen to commentary about the sights you pass as you move slowly along the Rhine, taking in marvelous views of Old Town, Media Harbour and the Düsseldorf skyline. Relax and plan the rest of your day as you cruise along the magnificent river. Several departure times a day make it easy to fit this fun cruise into your itinerary, no matter how packed. You'll feel your tensions melt away as you delight in the idyllic views of the majestic Rhine. Your 1-hour cruise through Düsseldorf concludes in Old Town.